Do you require other service providers in addition to the hotel provider? Book additional service providers for areas such as location, catering, transfer or equipment and organize the perfect framework for your event. Homepage > Hotels in Kassel > BEST WESTERN PLUS Hotel. 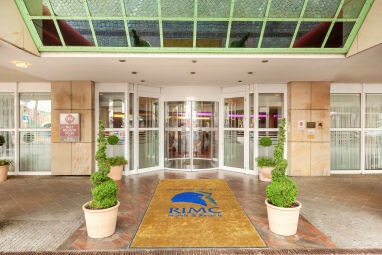 Our BEST WESTERN PLUS Hotel Kassel City is conveniently located in the heart of Kassel with easy access to important cultural and touristic attractions. The airport is 170 kilometres and the train station 1 kilometres away. The distance to the fairground is only 3 kilometres. The 4½-star hotel offers 128 comfortable guest rooms with Bathroom with bathtub, air conditioning, minibar, Wi-Fi, room safe, non-smoking rooms and Allergy-free room. For conferences and meetings, we have 7 event rooms for up to 280 persons, with modern technical equipment like Handheld microphone and Video projector. The 4½-star hotel offers 128 comfortable guest rooms with Bathroom with bathtub, air conditioning, minibar, Wi-Fi, room safe, non-smoking rooms and Allergy-free room. 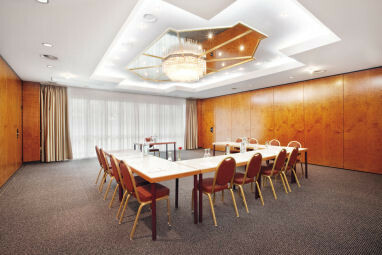 7 meeting rooms that can accommodate up to 280 persons with state-of-the-art equipment. Meeting packages are submitted on request. Special incentives will be arranged according to your requirements. Additional meeting equipment on request. Special offers are currently not available. Info Hotline: +49 (0)228 / 1849660 (Mon-Fri 8:30 - 18:00). All rights reserved.